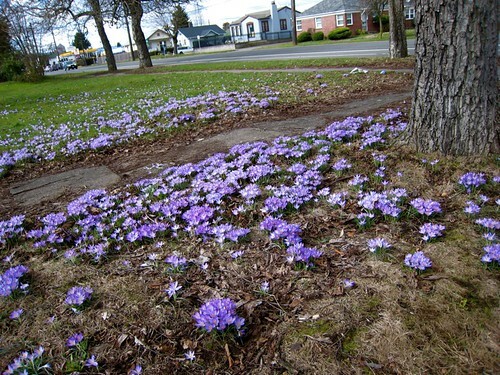 These are croci that have naturalized in a forgotten urban space. Probably a few planted years ago, they've slowly multiplied and now they frost the ground in their lavender icing. Aren't these days something else! What a city we live in. Man! I want my crocus to multiply like that.